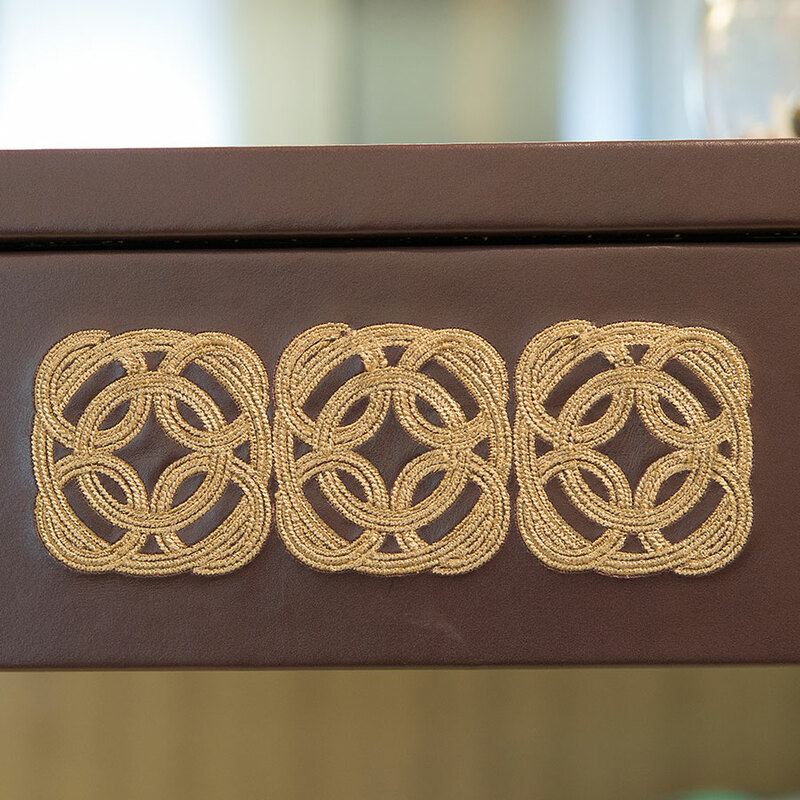 In collaboration with Whistler Leather this unique leather drawer is detailed here with our stunning Modena Design. Colours: This design can also be custom coloured on a variety of Whistler Leathers. Contact us for details of alternative colours.